Relief printmaking is a printmaking technique were the raised image of the plate is inked and printed. Relief Techniques are woodcut, linocut and material prints. The artist creates the image by cutting in a piece of wood, lino or other materials. A roller is used to ink the raised surface of the plate. A paper goes on top of the plate and the print is created by pressing by hand or by using a press. The Material print workshop teaches you to use paper based and tape materials to build up a plate creating beautiful textures and images. Plates can be hand printed and printed using the etching press. Woodcut and linocut workshops will teach you cutting techniques, working in black and white and colour, printing by hand and using the press. The workshops are suitable for (absolute)beginners as well as advanced students. Intaglio are all techniques where the engraved lines of an image in the plate are inked and printed. Examples of Intaglio techniques are dry point, engraving, etching, aquatint and mezzotint. For most of these a metal plate is used to create a print. The plate is engraved with a sharp needle or other tool. For etchings this is done not directly into the metal but in a 'ground' a layer of wax or acrylic paint that is painted over one side of the plate. The image is then etched by submerging the plate in a solution. This can be a salt or acid. After etching the ground is removed and the etched grooves are filled with special ink .The plate is then printed between the two rollers of the etching press under high pressure, forcing the ink into the soft printmaking paper that was laid on top of the etching plate. Many imprints can be printed from the same plate using one or different colours of etching ink. A series of identical numbered prints of a plate is called an edition. 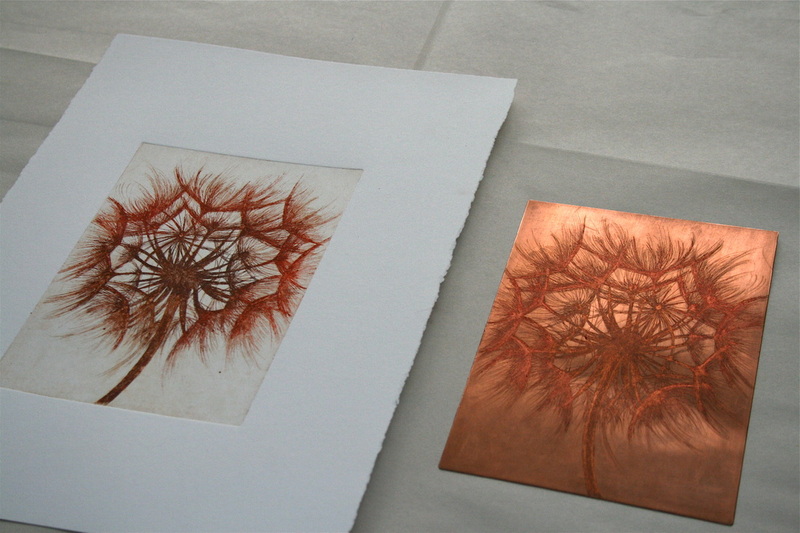 participants will learn how to use the airbrush to create aquatint. The textures in the plate will result in a full tonal image in the final print. advanced techniques after Etching II, double plate etching and viscosity printing. advanced techniques after Etching III, alternative use of grounds, sugar lift and chine colle. advanced techniques after Etching IV. Non toxic spit bite with copper sulphate on zinc, Handcolouring the print, Softground drawing techniques. The etching workshops will cover 1 technique. Participants will learn how to prepare a plate, create an image on the plate, inking and printing technique. The workshops are half day (3 hours) or full day (5 hours). After each workshop participants will created 1 or 2 plates and small edition of their plates.